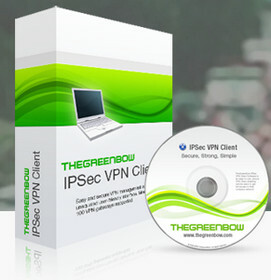 Especially designed for large and medium enterprises, TheGreenBow IPSec VPN Client can integrate in expanding networks to ensure the security of remote connections. The application is compliant with the most popular VPN gateways, allows peer-to-peer VPN and accepts incoming IPsec tunnels. In order to ease your work, this VPN client enables you to create and configure a new private network using the built-in wizard, which can guide you step-by-step to opening a tunnel with another computer, a router or a VPN gateway. All you have to do is choose the IP or DNS address and the pre-shared key. Support of Windows 8 32/64-bit. This feature enables to execute scripts (batches, scripts, applications…) at each step of a tunnel connection for a variety of purposes. PKI Options have been added and allow to better choose Certificates from Token or SmartCard in VPN Configuration. They are available through the user interface via a new tab in the ‘Tools’ or via command lines. Star Watermark for Windows is a powerful and easy-to-use tool to watermark your images, photos and graphics. Star Watermark is an essential tool for anyone with a digital camera, professionals and beginners or graphic artist on Windows. With the watermarking software free version, you could add TEXT water mark for your photos, With the watermark software purchased version, you can add not only TEXT watermark, but also IMAGE watermark to your photos. 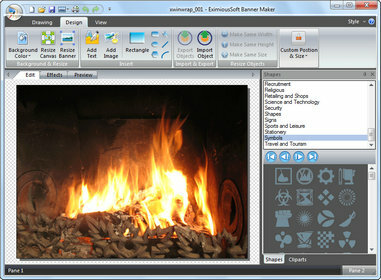 With Star Watermark program’s smart user interface, we maximize the easiest operations of using the free watermark program, such as Drag and Drop photo files to the software to add source files, and Double Click watermark templates or source file to edit template or preview the result watermarking photo. With the image watermarking software, you could digitally sign your work/photos/graphic/artwork and claim and maintain the recognition you deserve. With the batch photo watermarking program, You could build your company brand, by having your company logo on all your images. Avoid the surprise of seeing your artwork elsewhere on the web or in an ad. With Star Watermark software, you could add Rotation, Transparency, Text Size, Text Color, Position, Text Shadow and so on to your photos, and you can add image water mark to your photos with Position, Rotation and Transparency. 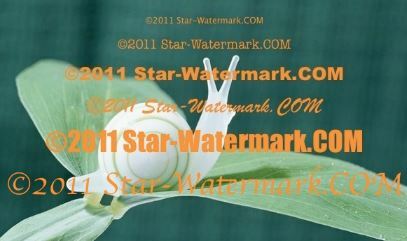 Star Watermark could batch watermark your photos with selected watermark template after you add files from toolbar “Add Files" button or drag files to software interface. You could double click one template to edit watermark template to customize yourself watermarking. PagePlus X7 is here to help your business, charity or personal venture stand out from the crowd. Create posters, flyers, business cards, save and edit PDF files, and much more. 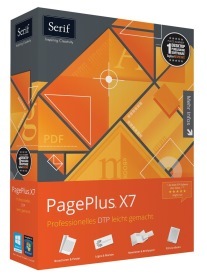 PagePlus X7 is the most versatile and easy-to-use desktop publisher ever! You don’t need to be an experienced designer to put together professional and eye-catching promotional materials. Versatile templates and pre-designed assets such as graphics, frames and backgrounds, help you create virtually any type of document you wish. An integrated word processor, logo designer and photo editing lab make it easy to create attractive documents, while intelligent alignment tools give you neat layouts effortlessly, with no technical experience required. Whatever your organisation, stand out and shine with PagePlus X7. Bring your business to life with beautifully designed templates and graphics that are fully customisable. Choose from a range of bold, stylish and colourful templates that are royalty-free and perfect for your small business, church group, non-profit organisation or even for personal use. Create a consistent look with themed stationery sets that include matching business cards, letterheads, brochures and much more. There are over 2000 royalty-free graphics, images and backgrounds to apply to your designs however you wish, and preset templates for invitations, menus, stationery, CVs and more. There’s so much you can achieve in PagePlus X7 and it’s so easy to get started! Professional-looking designs, graphics and documents are just a drag, drop or click away. There’s no need for complicated design techniques when you’re putting together eye-catching posters, flyers and logos. Drag a design onto your page and customise, adjusting size, colours, outlines, add labels and much more. Popular fonts and styles are available with one click and a built-in Asset Browser allows you to quickly search for any artwork that you need. PagePlus X7 works the way you want, with easy access to the tools you need in a clean and customisable interface. Share documents and designs with anyone in print and online with flexible PDF export. Save as a smaller file size for the web or at the highest quality for the best print results. 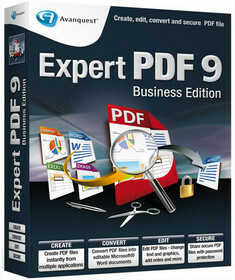 You can even fully edit PDFs just like you would any other document which is a unique feature for a desktop publisher. Reorder pages, edit and replace images and even merge PDFs – all in PagePlus X7! You can also tweak or rewrite text and customise graphics with different colours, there’s nothing you can’t do! PagePlus X7 supports multiple file types so you can easily import existing content such as images, documents and designs. Import and edit multiple office files including Microsoft® Word® and OpenOffice™ Writer with all your content and imagery intact. Put together plans, graphs and charts for your business by lifting information from spreadsheets and databases and import multiple image files including JPG, PNG and TIFF. There’s no need for professional expertise, the easy to use tools and guides in PagePlus X7 will help you every step of the way. PagePlus X7 is the most powerful and efficient desktop publisher yet. Accelerated Graphics Technology and support for 64-bit operating systems means PagePlus X7 is faster than ever, especially important when designing large or complex documents. Improved colour management supports CMYK documents and Pantone® colour palettes and gives you access to thousands of colours. You can use professional blend modes to control how colours interact together and add more precise detail to your designs with up to 5000% zoom and 1/72000th inch precision. When your documents are finished, output them as a PDF/X-3 file, perfect for print shops and publishers. Handy guides, tutorials and pop up tips are here to help you make the most of your promotional materials. Helpful video guides walk you through everything from basic to advanced-level techniques and popup hints appear as you work with relevant information when you need it. With drag and drop designing, preset templates and smart layout tools to help you, anyone can achieve amazing results, not just designers. And remember as a PagePlus X7 customer you’ll have access to a world of support online with CommunityPlus and over the phone with one of our experts. The most versatile design package ever! – Quality flyers, menus, posters and banners for your business or club. – Stationery sets that include letter heads, business cards and more. – Stylish and interactive PDFs. – Handouts, programmes and booklets that include charts and technical diagrams. – Personal correspondence including CVs, letters, greeting cards and labels. – Books and eBooks for all stores and readers. DevCad Cam Pro is a full integrated Cad/Cam system. It includes all the functions of devCad Pro, the same interface and commands, but adds all what is required to make a powerful Cam application for 3 axis CNC milling machines .The devCad Team developed new ‘smart’ technologies to improve the user’s work. DevCad offers many special features developed with particular attention to model aircraft builders. Now the dc1 files including all the Cad data are much safer. The Save operation has been re-eingineered, now it perform 4 levels of added safety. Whatever can go bad during the saving process (also a power blackout), the last valid Cad file will be still available. See also the below File History feature to add more strength and handling to Cad versions. It is now possible to keep the History of a Cad Drawing both automatically and manually. In this way you can switch back to an old version or create a new Cad drawing starting from a previous version of an existing drawing. 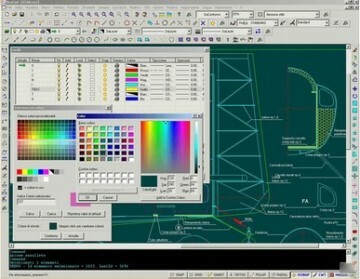 The History of a Cad drawing is a list of items related to previous versions of the Cad file. When you use the File Save and Add to History menu command (or also the File Save command, depending on the History settings of the actual drawing), a new item is added to the list. This is useful to keep track of older versions of the drawing. For example if you made an error you can switch back to an old version, also if it’s very old and so the Undo command is no more available. You can customize the History setting specifying when and where a new item is created, how many items can be stored in the list, and other settings. Also a global History setting is available, it’s used when a new Cad file is created. Previous versions of devCad could import only DXF r12. Now devCad 3 can import and export multiple releases of DXF, Binary DXF and DWG files! ZOC is a powerful SSH/telnet client and terminal emulator. With its impressive list of emulations it lets you easily connect to hosts and mainframes via secure shell, telnet, serial cable or modem/isdn. Its sleek user interface has many ways of making your life easier. In its own way ZOC is the swiss army knife of thin clients: versatile, robust, proven. 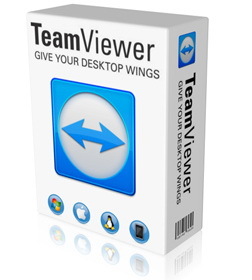 · With TeamViewer you can remotely control any PC anywhere on the Internet. No installation is required, just run the application on both sides and connect – even through tight firewalls. · The second TeamViewer mode allows you to present your desktop to a partner. Show your demos, products and presentations over the Internet within seconds – live from your screen. · The major difficulties in using remote control software are firewalls and blocked ports, as well as NAT routing for local IP addresses. · If you use TeamViewer you don’t have to worry about firewalls: TeamViewer will find a route to your partner. · TeamViewer is a very secure solution. The commercial TeamViewer versions feature completely secure data channels with key exchange and RC4 session encoding, the same security standard used by https/SSL. · Optimized for connections over LANs AND the Internet, TeamViewer features automatic bandwidth-based quality selection for optimized use on any connection. like memory cards, memory sticks, iPods, USB storage devices, hard drives, and Zip disks. 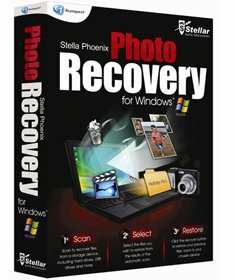 • Supports recovery of deleted/accidentally formatted pictures from all major cameras like Nikon (NEF, Intel), Canon (CRW, CR2), Sony (SR2), Kodak (KDC, K25, DCR), Olympus (ORF) and Fuji (RAF). • Recovers all photo formats including JPEG, Exif, RAW, GIF, PGM, PNM, PBM, CD5, NFF, JPG, PNG, BMP, TIF and TIFF. • Recovers photos from all types of memory cards such as SD, MMC, XD, MMCmicro, SM, CF, and Flash cards. • Supports recovery of all audio and video file formats such as MP3, AVI, WMV, MPG, RM, WAV, WMA, OGG, AU, RPS, MP4, M4A, M4P, MOV, ASF, 3GP, DAT and AMV. • Compatible with Windows 7, Windows Vista, 2003, XP, 2000 and NT with Pentium Class processors. • Recovers photos from damaged or corrupted storage media like memory cards, memory sticks, digital cameras, Windows/Mac hard drives, Zip disks, Mini disks, CD, DVD, USB drive, FireWire drive and other removable media. • Performs Card Recovery from memory sticks, IBM Micro Drives, SD Cards, MMC Cards, XD Cards, and Secure Digital Cards. • Gives you a sneak-peek of the recoverable data with thumbnails. • Provides “Event log" of the recovery process. • Provides Selective Scan and allows saving the scan results for later recovery. • Supports various readers including USB, Serial Port, LPT, Floppy Drive, CD-ROM Drive, CD-R/W Drive. 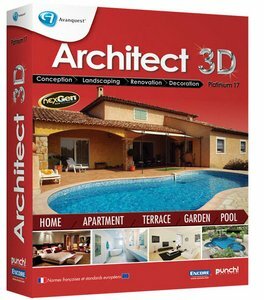 • Supports physical disk and logical volume.